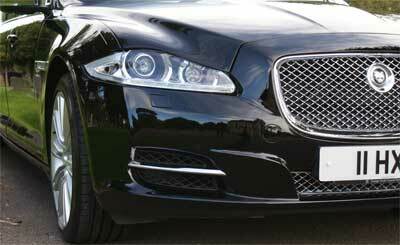 We at George Scott take great pride in our fleet of MODERN Jaguar XJ and CLASSIC Daimler DS420 Chauffeur driven hearses and limousines which come finished in gleaming black and serve the Bournemouth area and beyond. We would be happy to show the hearses if they are onsite when you visit. We can also arrange alternative vehicles to be made available which offer a unique way of saying goodbye. Click here if you would like to see some suggestions. How many limousines will be required? 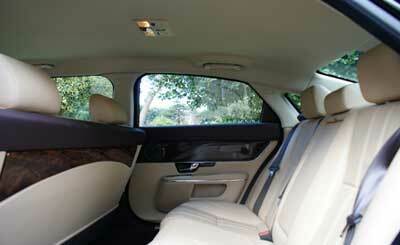 (Our limousines can each seat six people and, if given prior notice, seven can be accommodated). You will need to arrange and advise the family members who are to travel in which limousine before the funeral. You are welcome to contact us to discuss potential arrangements and we will do our best to meet your needs.